Live Earth was a benefit concert on July 7, 2007 (7-7-7), bringing together more than 150 musical acts on 11 different locations (Sydney, Johannesburg, New Jersey, Rio de Janeiro, Antarctica, Tokyo, Kyoto, Shanghai, London, Hamburg, Washington D.C. and Rome) to bring more attention to climate change. The artists performing at this event included The Police, Melissa Etheridge, Bon Jovi, Alicia Keys, Crowded House, Lenny Kravitz, Macy Gray, Enrique Iglesias, Shakira, Snoop Dogg, Beastie Boys, Black Eyed Peas, Damien Rice, David Gray, Genesis, Pussycat Dolls, James Blunt, Duran Duran, Keane, Metallica,... Madonna closed the show at Wembley Stadium in London at 10.15 pm. 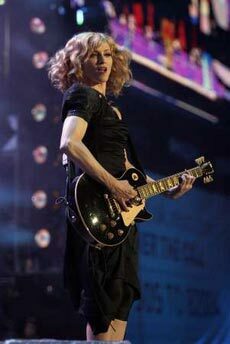 Madonna performed 4 songs, including the new track Hey You that she and Pharrell Williams had penned especially for Live Earth. 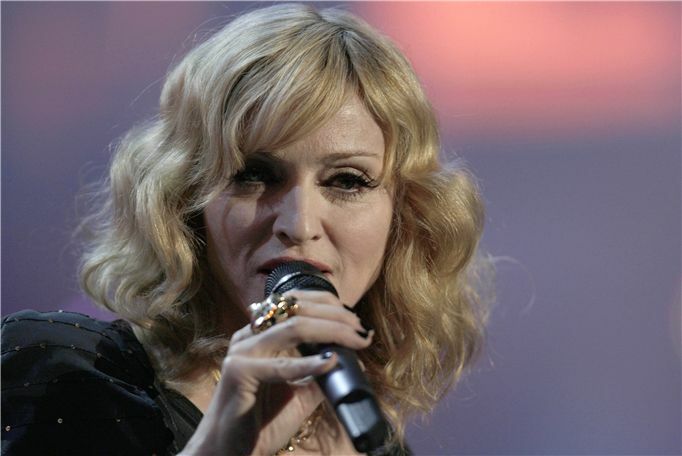 During the performance, Madonna was backed up by a childrens choir. For La Isla Bonita, Madonna was joined on stage by the band Gogol Bordello. The song was mixed with the gypsy song 'Lela Pala Tute', which is sung in Romanian. This version was later used on the Sticky & Sweet Tour. 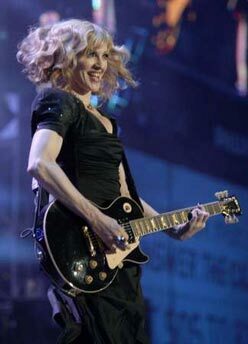 The backup singers for Live Earth were the same as for the Confessions Tour: Donna DeLory and Nicki Richards. Many of the Confessions dancers joined as well, including Cloud, Hypnosis, Sofia and Steve Nestar.